Thank you to everyone who stopped by our booth to say hello and talk with us and to all those that made a donation to help us! Special mention goes to the Willamette Australian Shepherd Club for donating a booth space for us, the Australian Shepherd Club of Utah (ASCU) and Shauna Graham, and Kristina Churchill for their generous donations. A special shout out to two young ladies, Jaisa B. and Alyssa M. who washed dogs at Nationals and donated 50% of their proceeds to Toby’s Foundation. 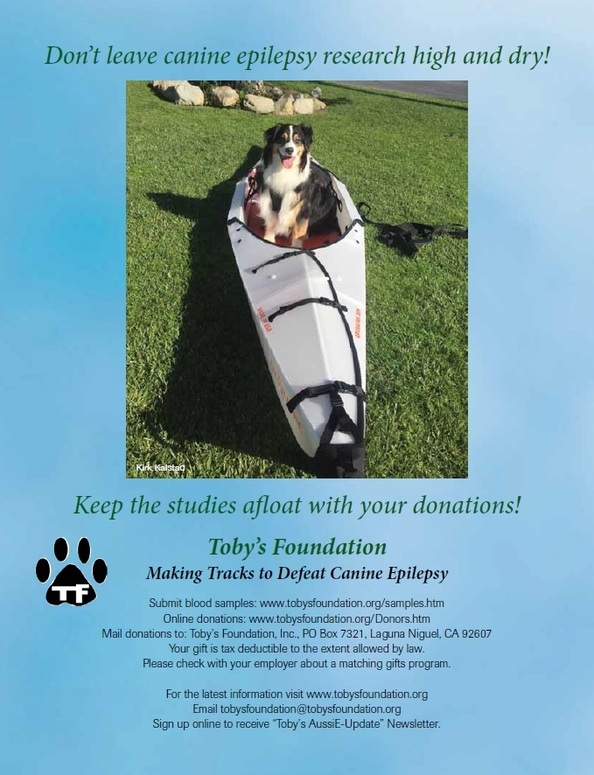 We appreciate your support in the fight against canine epilepsy!